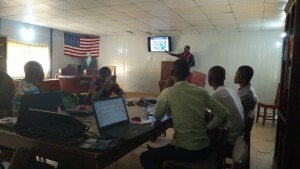 During October 2017 week 2, throughout Haiti, Senegal, Mali, Burkina and Ivory Coast, over 20 members of Association Proje tEOF have been active preparing for all activities enclosed in #ActionOifProjetEOF program for the second half of October in Haiti et and Western Africa. 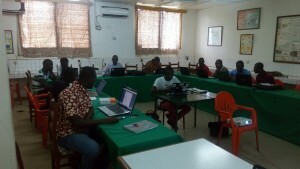 Folks have been busy selecting participants among OpenStreetMap, free software, opendata, GIS and academic communities, securing logistics for the many workshops (ensuring access to « community-friendly » workspaces, Internet resources and food) as well as building activities schedules and curricula. 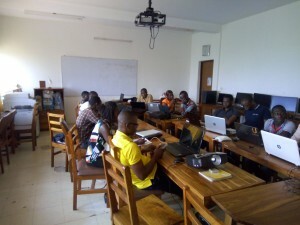 Meanwhile close to 20 Association Projet EOF members carried out « OpenStreetMap, Free GIS and opendata » activities for close to 50 people. 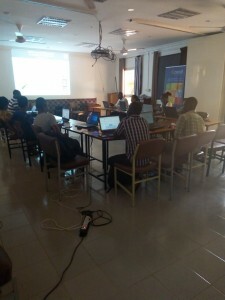 In Togo and Niger, the first #ActionOifProjetEOF camps coupling 5 days training and 1 day mapathon were successfully held while Benin, Burkina and Ivory Coast organized as well their first one day event mixing conference, technical hands on sessions and mapathon. 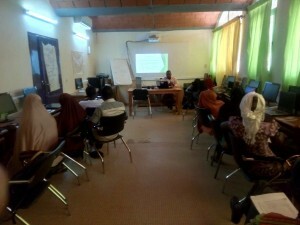 In Western Africa, this Monday 16-October 2017, over 30 members of Association Projet EOF members are active with over 100 participants in running the Niamey mapathon and leading 10 workshops in Dakar (Sénégal), Bamako and Kayes (Mali), Niamey (Niger), Ouagadougou (Burkina-Faso), Abidjan and Bouaké (Ivory Coast), Cotonou and Adjara/Porto Novo (Benin), which will mix 5 days training on « Free participatory mapping (OpenStreetMap), Free GIS (QGIS) and opendata » with 1 day mapathon to add to the OSM map of those territories. It’s finally expected that via the responsibilities they will have to fulfill and the experience they will gain throughout the course of this project, association Projet EOF members, collaborators and partners will build up their skills around the technical and organizational aspects required for the design, implementation and reporting of such programs. 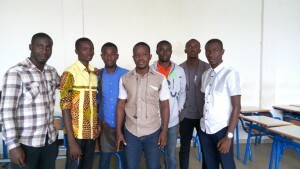 We will communicate on this OIF – Projet EOF program on the OSM lists, blogs et social media in use by Projet EOF (@ProjetEOF) and other local OSM collectives or associations in Africa and Haiti that are part of this initiative to further build the OpenStreetMap space in South Francophone countries.